For what can an antelope say? Every spoken word, every action we take, effects another person. We either affect somebody positively or we affect negatively. Even many neutral actions, since they don’t affect another in a positive way, can be considered negative. 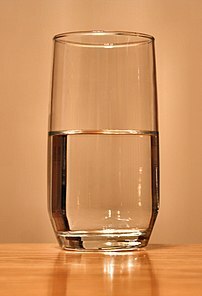 We label ourselves as either an optimist who sees the glass half full, or a pessimist who sees the glass half empty. Or an engineer, who sees the glass as too big. Some Christians look at the people around them and find fault with them. They gossip too much, they only hang around with their friends; they don’t serve like they should. Other believers seem to have a good word for everyone they meet. Which type or person do you like to be around? Which type of person are you? Why do we do this? Like many sins, this one, too, is based on pride. We’re better than them. If they don’t know that, then we can drag them down and push ourselves up by criticizing them. We think so highly of ourselves that we don’t consider the other person’s feelings before we open our mouths. Ok, so does God want us to encourage one another? Who can guess the answer to that question? Today weâ€™re going to study Acts 11 starting in verse 19 about a great encourager. This is a difficult time for the early church; the early Jews preaching the gospel were persecuted by Herod. Stephen had been stoned to death, and the early Christians were scattered. There was some confusion around this time about the good news of the gospel and who could receive it. When we study God’s word, we often stop right there and think that God’s message is that it’s ok to eat pork. Or shellfish. Orâ€¦ scorpions. Or whatever. And indeed, the scripture tells us this. When you couple this vision with Jesus’ Sermon on the Mount (Matthew 5:17), “Do not think that I have come to abolish the Law or the Prophets; I have not come to abolish them but to fulfill them,” we can also conclude that we are not bound by the Old Testament laws because Jesus completed them. We are free in Christ. Barnabas is a great example of the Christian God wants us to be. In Acts 4:34-37, scripture introduces us to this man. There were no needy persons among them. For from time to time those who owned lands or houses sold them, brought the money from the sales and put it at the apostles’ feet, and it was distributed to anyone as he had need. Joseph, a Levite from Cyprus, whom the apostles called Barnabas (which means Son of Encouragement), sold a field he owned and brought the money and put it at the apostles’ feet. Why do new Christians need encouragement? We can definitely encourage new Christians by assuring them that God is at work in their lives, that God loves them and gave His son for them. We can encourage new Christians, not by looking at what they are doing wrong, but by affirming the positive qualities they have and the positive actions they do. We must approach them in love, not criticism or condescension. I look at these early Christians, the aggressive evangelism they do to spread the Word, and the persecution they endured, and compare it to the safety and comfort of our modern church. We’re coddled by Christianity, but it’s the suffering of the early Christians that produced the hope and character of zealous Christians. Saul wasn’t exactly a new Christian; Saul was an educated Pharisee, a very devout Jew who had persecuted the Christians until Jesus appeared to him on the road to Damascus. When Saul converted to Christianity, there was a lot of suspicion about him. After all, Saul was a witness to the stoning of Stephen; how could this man be so changed after his encounter with Jesus? Saul became Paul and under the guidance of the Holy Spirit wrote most of the New Testament, including the letter to the Hebrews, verse 3:13, “But encourage one another daily, as long as it is called Today.” While we think of Paul has an incredible teacher, how much of Paul’s writing can be attributed to the encouragement and joy of Barnabas? Why do established Christians need encouragement? It says here in Acts 11:26 that the disciples were first called Christians at Antioch. Here’s the rabbit trail for this week; up until this time, followers of Christ had sort of an identity crisis. For a while in Acts 1 through 4 they were called “believers”. In Acts 5, they referred to themselves as the church, and then in Acts 6 they called themselves disciples and then brothers. In Acts 9, they called themselves “The Way,” I assume because Jesus called himself the Way, the Truth, and the Life. They also called themselves the Lord’s people in Acts 9, the Followers in Acts 17, and the Flock in Acts 20. But it was here in Acts 11 that followers of Christ were first called Christians. So back to Barnabus; he’s encouraged new Christians, he’s encouraged experienced Christians, and now Acts 11:23 it says Barnabus encouraged all of them, the entire church of Antioch. So Barnabus has shown by his example we are to encourage new Christians, established Christians, both individually and in groups. Did we miss anybody? â€¢	Take an interest. I believe this is one of the most effective ways of encouraging others. Show that youâ€™re interested in what theyâ€™re doing. Get them talking. People like to talk about themselves and once you get them talking, you fire up their enthusiasm. â€¢	Acknowledge whatâ€™s important. When you acknowledge whatâ€™s important to another, you provide validation about who they are and what theyâ€™re doing. Whether we admit it or not, each of us craves acknowledgement. Affirmation fuels confidence and self-esteem. â€¢	Acknowledge a job well done. Worthwhile accomplishments take time and effort. You can encourage by acknowledging someoneâ€™s effort. A simple â€œwell doneâ€ or â€œthank youâ€ can have a strong effect, which can make the difference between going on or giving up. â€¢	Show your appreciation. Itâ€™s common courtesy. Thank someone when they do something for you. Thank your partner after they cook a nice meal. Thank a friend for lending you a book. A simple thank you lets others know what they have done is meaningful to you. â€¢	Return the favour. If someone does something nice for you, show your appreciation by returning the favour. This should not be seen as an obligation, nor as a contest. Youâ€™re not trying to top the otherâ€™s contribution, but to express what their actions mean to you. â€¢	Do something unexpected. This is a step beyond returning the favour. Respond with something unexpected: out of the blue. Such a response has a strong impact and can reach others at an emotional level. â€¢	Ask for advice or confide in them. Havenâ€™t you felt important when someone asked for your advice or confided in you about something important? Didnâ€™t you find you were energised and eager to help. Taking someone into your confidence can motivate them to show your faith in them is well founded. â€¢	Lend a hand. Waiting for someone to ask you for advice is passive. You can take the initiative by offering to lend a hand. If a person sees you are willing to commit your time and energy to their interests, they will be more committed to seeing it through and less likely to give up. What about you? Are you an encourager? Do uplifting words come from you, or do words of condescension and criticism come from you? Are you a Barnabas? Or are you a barnacle? Let’s keep in mind that all Christians need encouragement. For new Christians, simply going to them and offering help is encouraging. For maturing Christians, we can encourage them by affirming their good work and character and helping them apply their spiritual gifts in service to the Lord. For all Christians, just being concerned about them and helping them is encouraging. Let’s go be encouraging confetti to someone today. you shall find; knock and it shall be opened unto you. For every one that asketh receiveth; and he that seeketh findeth; and to him that knocketh it shall be opened. [Matthew 7:7-8]Who of you by worrying can add a single hour to his life [Matthew 6:27]EncouragementFaithful are the wounds of a friend. Great job, Michael! I hope I’m a Barnabas. I know that unforunately sometimes I’m not – that list of 8 was an awesome reminder. Excellent post! I have been fascinated with Barnabas for a while now and published a book a few years back, suggesting Barnabas as a model for ministry. Published by The Alban Institute, it is called, “Becoming Barnabas: The Ministry of Encouragement.” I hope you have a chance to look at it. Jennifer, you could have taught this lesson with your eyes closed. You’re an incredible encourager! Thanks, Paul! Our church has a Barnabas center for counseling, and I had no idea how aptly named it was. I think we can safely say that Nancy Pelosi is not a Barnabas. Just today she broke the cardinal rule you mentioned above about “bless their heart.” Here is what the House Speaker said about President Bush. This is unreal dirty politics. “You know, God bless him, bless his heart, president of the United States, a total failure, losing all credibility with the American people on the economy, on the war, on energy, you name the subject,” Pelosi replied. Whoa. That’s like anit-Barnabus, bless her heart. Serves as a good reminder to all to find something good in everyone and everything.